The Owl Wireless Electricity Monitor allows for the efficient reduction of your electric bill by empowering you to see the home's actual cost of energy in real-time. The OWL Micro is an electricity monitor which shows the consumer exactly how much electricity they are using and how much it cost them to use. PDS is the designated US distributor of the Owl range of wireless electricity monitors. Future product offerings will also include emerging energy efficiency tools that change the way consumers view and use energy. Our goal is to empower people with an increased knowledge of energy costs that allows them to reduce energy waste by allowing for informed decisions regarding energy consumption. Studies have shown that homeowners are significantly reducing their electricity bills simply by installing the Owl Wireless Electricity Monitors. 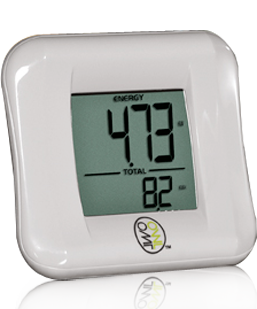 The Owl has proven itself to be the “gold standard” of energy monitors as evidenced by our who’s who of customers. Easy to Install. Easy to use. Easy to save. Cost savings solutions for your electrical usage. 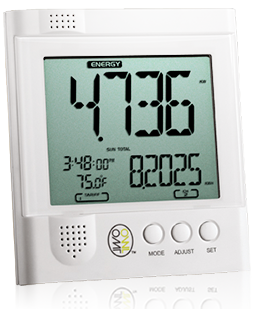 The Owl & Owl Micro electricity monitors allow you to take control of your electrical usage and get real time feedback on how much your electricity costs you. Easy to install and use. Details the actual savings from turning off appliances, lights and more. All wirelessly. At PDS we pride ourselves on building market awareness of new energy cost saving devices that allow consumers to make smart choices about their use of energy. We believe it is our social responsibility to show consumers how slight changes in their energy consumption can go a long way, not just in saving money, but for the environment. If everyone altered their consumption habits just a little bit the total reduction in emissions would be staggering. In order to guarantee the highest level of performance, PDS products have to be the best available. Our promise is that our products will always deliver the highest quality operability ensuring the best results possible. Simply put: Our stuff works. We won’t sell you crap.